Once in a while I run into a situation where I feel one of the work computers running Linux (of course) might be running slow. 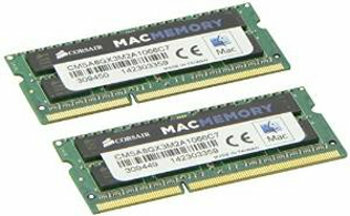 The first thing I check is the memory installed and utilized through the use of free -m command. The Free command is not perfect but good enough. The data column under free in the second line is what you should look for. With 4.31GB “free” under that column, no issues there! Next, I look at applications that are drawing the most memory. To check memory used by various applications, a plethora of options are available on the command line. You can check memory use by all applications and processes or examine just the memory used by the top-5, top-10 or top-20 applications. Here are a few commands to help you quickly check memory used by different applications. I have tested them on LinuxMint 17 but they should work on other Linux distros too. The below command is one of my favorites because besides memory, it also provides CPU use and the PID (process ID). If you’re looking for memory use by the top 20 processes, go with the below command. Unlike some of the other commands, this one will give you only memory use and percentage. Now if you’re looking for memory use by the top 10 processes, run either of the below commands. If you’re looking for memory use by just the top five processes, issue the below command in the terminal. For a lot of folks, the top command is tops when it comes to checking memory and other parameters of their computer. A big plus is that top comes installed with every Linux computer. Lately, htop, a gussied up, ‘colored’ version of top, has drawn a lot of defectors from top. Go ahead and try out these commands on your Linux system and see which of your applications is grabbing the most memory.